Welcome back to another 31 Day Challenge! We are linking up again with the writers over at Five Minute Friday and Crystal Stine’s Write 31 Days website. 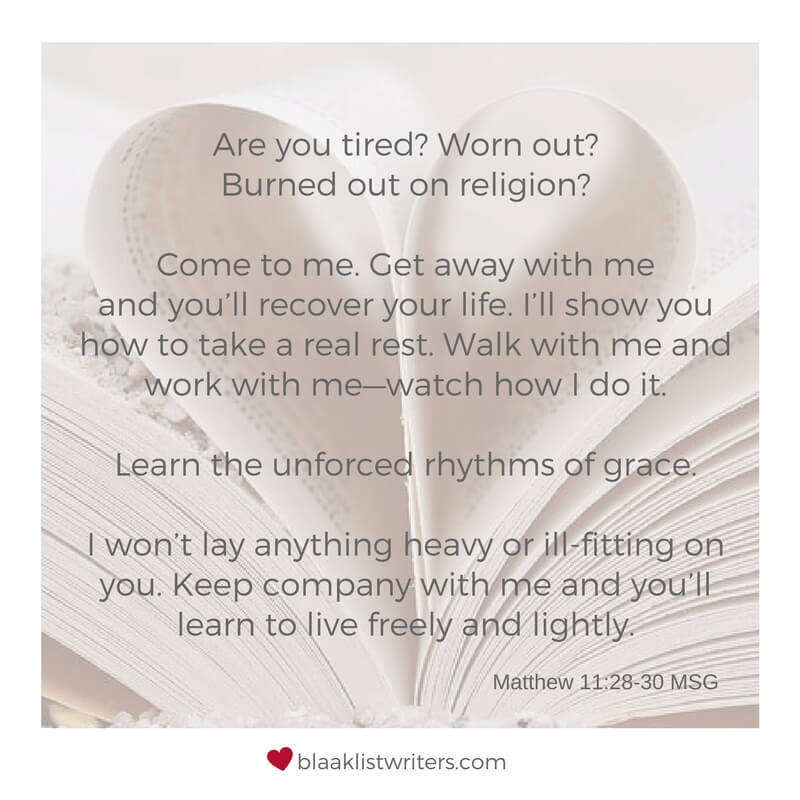 This year, Father has been challenging me to Walk in the Unforced Rhythms of Grace (Matthew 11:28-30 MSG). What gives me gas in my tank? This year, we are going to explore HOW to live this amazing life without burning out or losing our joy in the process. And to make sure that happens, I’m giving myself unlimited time to complete the challenge. I may not post every day, and it may take a couple of months to finish, but we will get there – AND IT’LL BE UNFORCED. THANK YOU, dear friends, for going on this lovely journey with me and allowing me to fill your inbox with my ramblings. It is a huge privilege and I don’t take it lightly! Here’s to walking in Unforced Rhythms together! Day 8 - When Happy Hearts Hurt, FIND a Reason to Celebrate! Day 7 - No More Excuses! No One Can MAKE you mad!